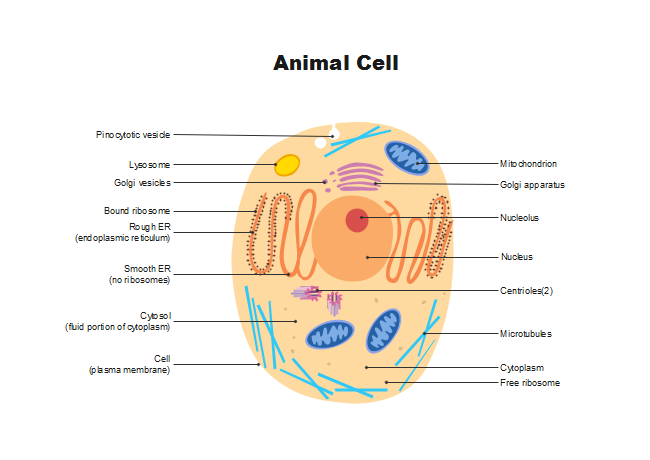 Description: A clear design animal cell diagram template from Edraw is waiting for you in the free download version. Use it for any kinds of science coursework or group discussions. You can also adjust the diagram sizes at any time you want for more insights.